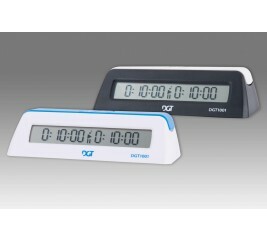 The Limited Edition DGT3000 Digital Chess Clock most advanced game timer yet from DGT Projects. 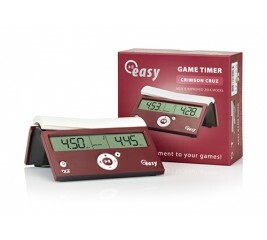 It features an unbelievably large display with full game details, 25 pre-set time controls, 5 slots for customized time controls and the ability to connect to the DGT Projects Electronic Chess Board. 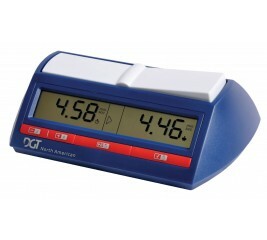 The DGT North American is a state-of-the-art digital chess clock at an unbelievable price. 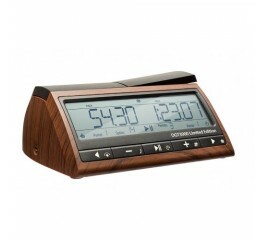 It is manufactured by DGT Projects, one of the world's premier chess clock companies. 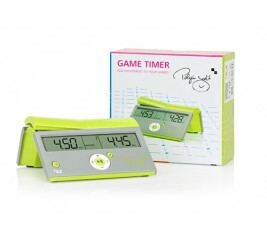 It features 10 pre-set time controls, making it an ideal clock for both the serious player and the casual enthusiast. It features a revolutionary new Quick-set option that makes configuring the clock a snap! Even multi-period delay settings can be set up quickly - no need to study a convoluted user manual or memorize confusing button combinations! 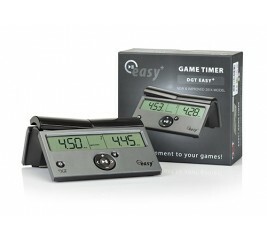 The Easy Game Timer Plus digital chess clock from DGT Projects is an enhanced version of the best-selling Easy Game Timer. In addition to countdown and count-up, it also features delay and bonus time modes. 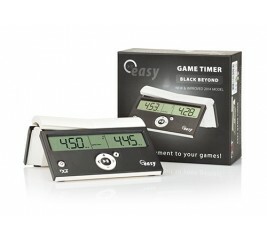 The Easy Game Timer Plus can be programmed for games up to 9 hours and 59 minutes. It is an ideal clock for chess beginners and chess players that are budget conscious and are looking for a clock that has all of the features that they will likely ever need in their chess career. It is very attractive and is manufactured by the leader in digital excellence, DGT Projects. The latest in chess clock design . . . a digital folding clock! 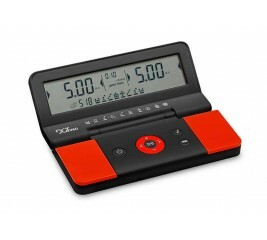 With a physical size of only 5.5'' in length, 2.6'' wide and 1'' high, the DGT960 game timer has all the features a chess player needs in a clock for tournament or blitz chess -- bonus and delay modes, a timer that will count down or count up (great for Scrabble or Go games), a move timer, and memory capabilities that will remember and save the last time control used. 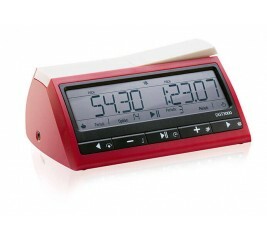 In addition, this clock is easy to operate and has a large display screen of approximately 5'' x 1''. This sparkling fresh DGT Easy clock was developed in cooperation with Judit Polgar, the Greatest Woman Chess Player of All Time. It has a modern and attractive color design and the cheerful Polgar chess figures are printed on the back. 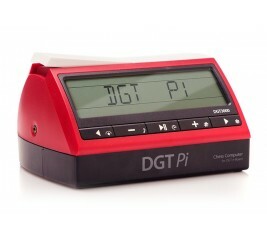 DGT1002 is the simplest chess clock with bonus options available anywhere. Simply press + or - to set the times and the game can begin! Easy to understand and fun to use! It operates on one battery (included) and comes with a 2 year warranty. A great little affordable chess clock with large display and clear digits - perfect simplicity of design and operation. 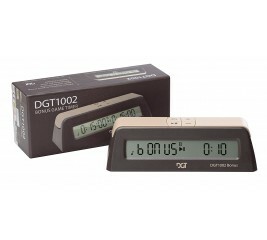 The DGT 1001 digital chess clock is perfect for those looking for a basic chess timer. Simply turn it on, set the starting time and play! It's a chess clock without all of the extra features commonly found on other models, such as time delay and increments. It's perfect for schools, clubs and organizations looking for a no-hassle chess clock at an unbelievably low price!